Incredibly charming and very spacious, open, light and clean, with a fantastic backyard and garden. New paint and newer wood laminate flooring throughout make this home turnkey, while the mid-century details make it beautiful. The kitchen has warm wood cabinetry, tile counters, newer appliances and tons of space, opening onto dining room overlooking backyard. The bathroom is striking with newer vanity and period tile. The entire home has been lovingly maintained and beautifully appointed. Central HVAC, partial copper, and strong roof. On a large landscaped lot, with an attached garage. 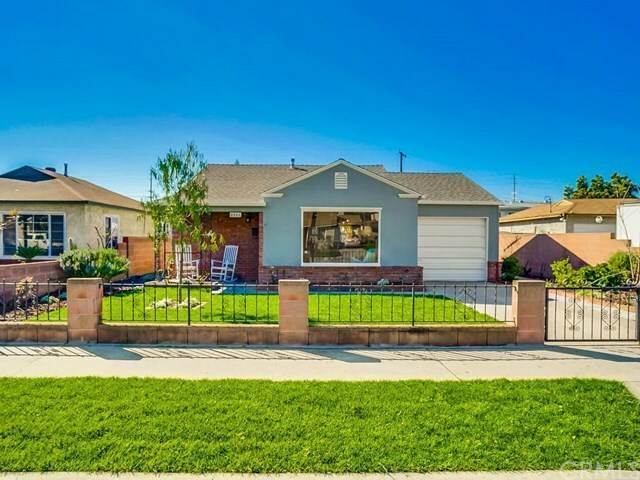 ?Itâs a perfect starter home in a family neighborhood; Welcome home! Directions: West on Imperial from Lakewood, Left on Barlin Ave., Right on Cheyenne St.